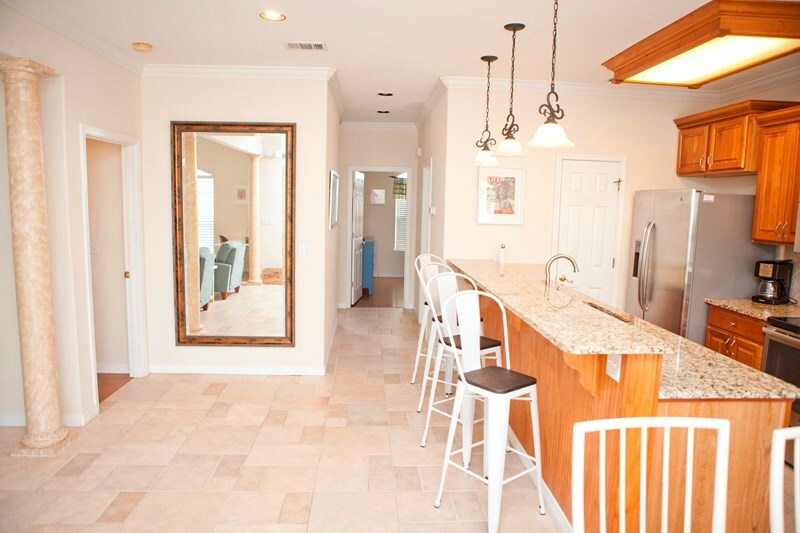 Destin Florida rental by owner in Emerald Shores, 3 bedroom vacation home.. Cleaning fee is additional cost. 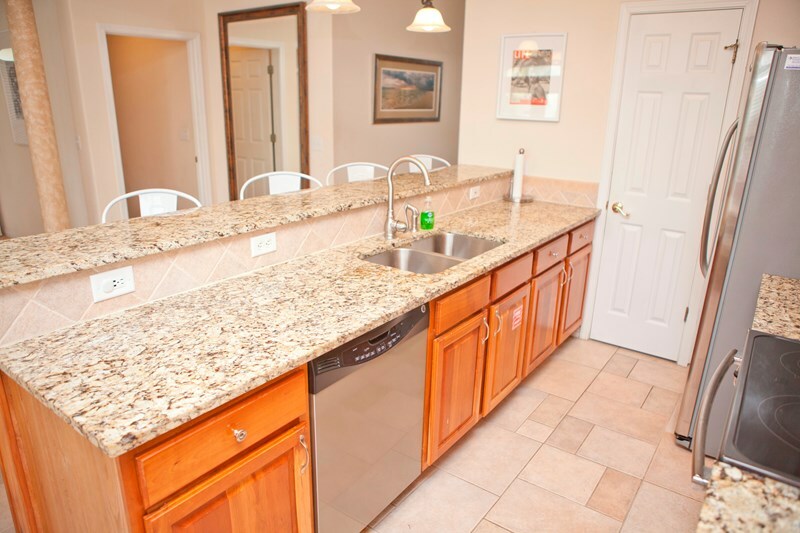 We do not require a security deposit. 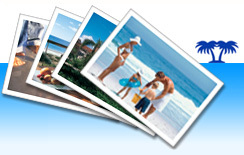 Travel insurance is optional. 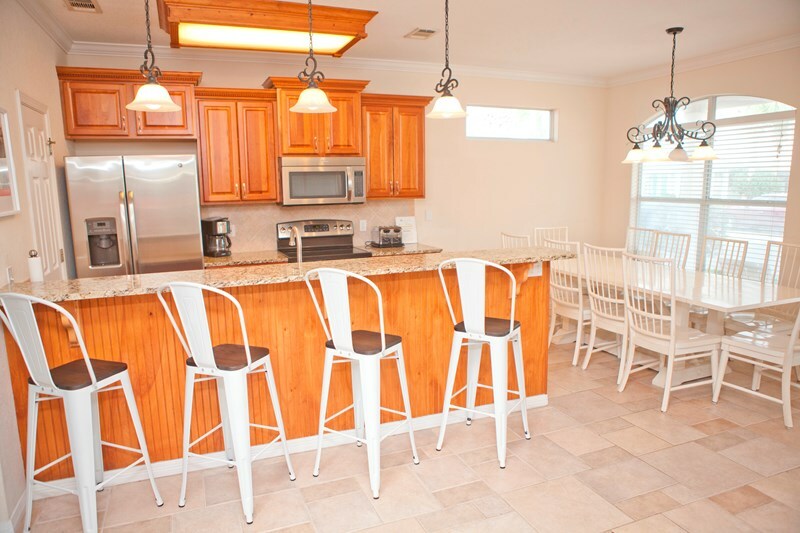 We are super excited that you are considering renting our vacation home. We deeply believe in family and community and it is our goal is to make your vacation experience as rich and relaxing as possible. Our hope is that you will spend time sharing stories and having conversations on the back patio with the ones you love. (Don’t forget the bottle of wine!) A successful vacation in our opinion is one where relationships and families are strengthened as a result of staying at our home. We can’t wait to hear your story! 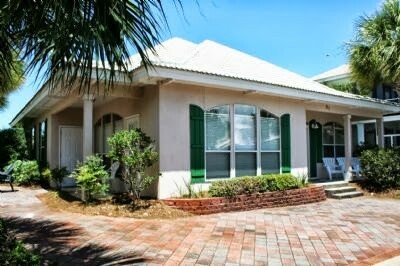 Our home, “Emerald Villa” is located in the gated community of Emerald Shores in Destin, Florida. 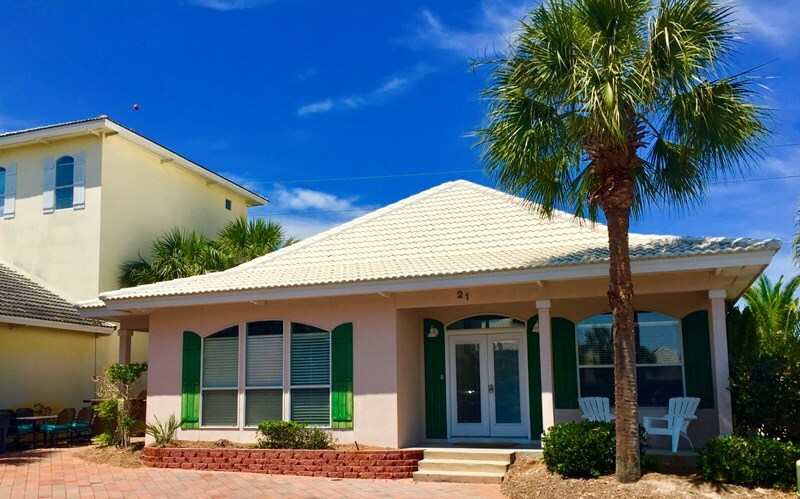 We love Emerald Shores because it is one of most family friendly communities on the Emerald Coast and has a unique beach pavilion located directly on the sand with access to all guests. 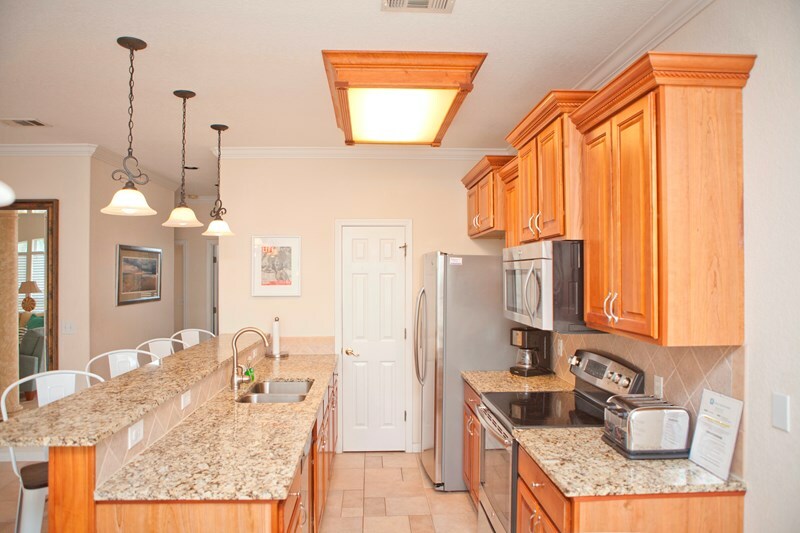 The community has 2 swimming pools (One seasonably heated), a basketball, tennis, and shuffleboard court that are easily accessible by the community sidewalks. 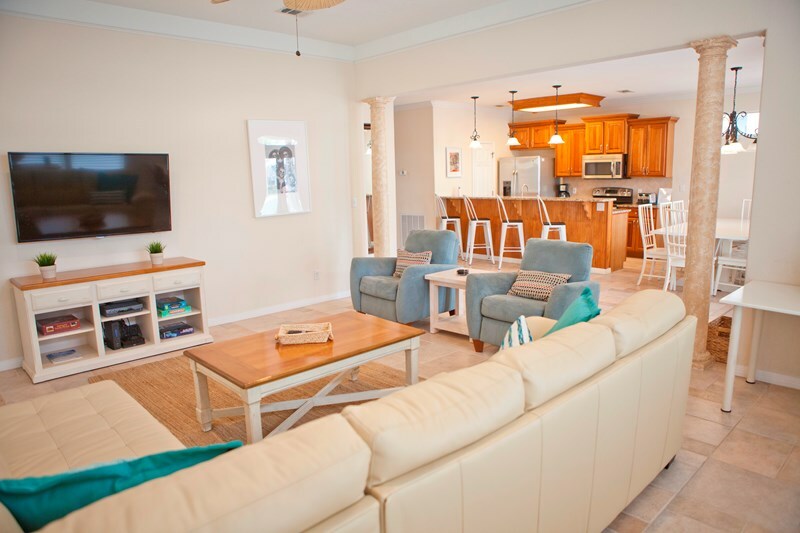 We love that the beach is just a short 7 minute walk away but after a long day in the sun or after a giant breakfast, we love catching the Emerald Shores Tram that will get you there in no time. (It is important to note that the tram only runs during the summer months.) 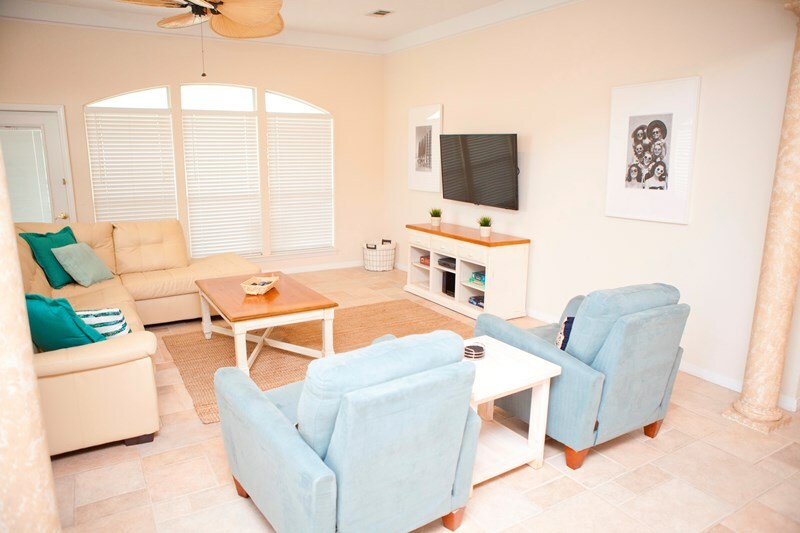 If the beach isn’t your scene, you will enjoy being only 2 minutes from either swimming pool. Lounge chairs provided! Our home has just one floor, which means no hauling luggage/groceries/babies up and down stairs. 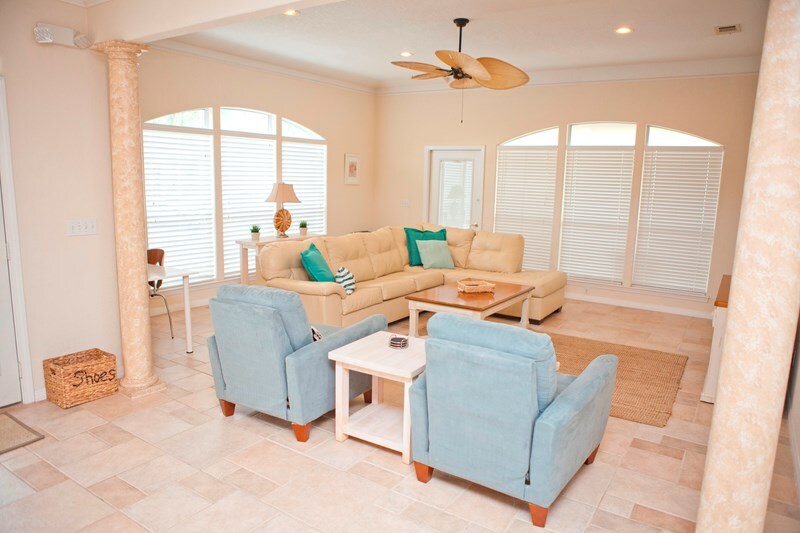 We enjoy the open floor plan which creates an environment suitable for game and movie nights after dinner! We also want to save you money on the rising cost of cell phone data so we included FREE WIFI in the house! MasMaster Bedroom: O ne KING size bed sleeping 2. 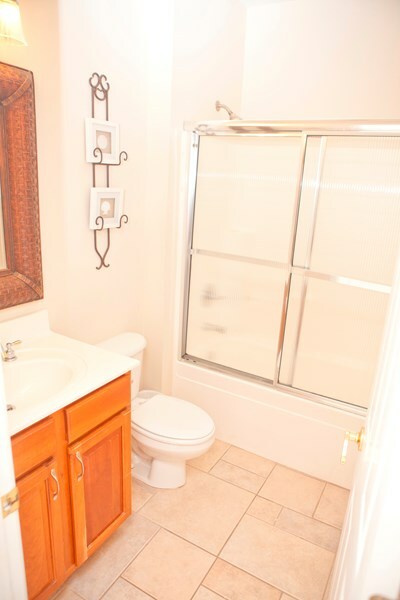 There is a full bath including a Jacuzzi and separate shower. 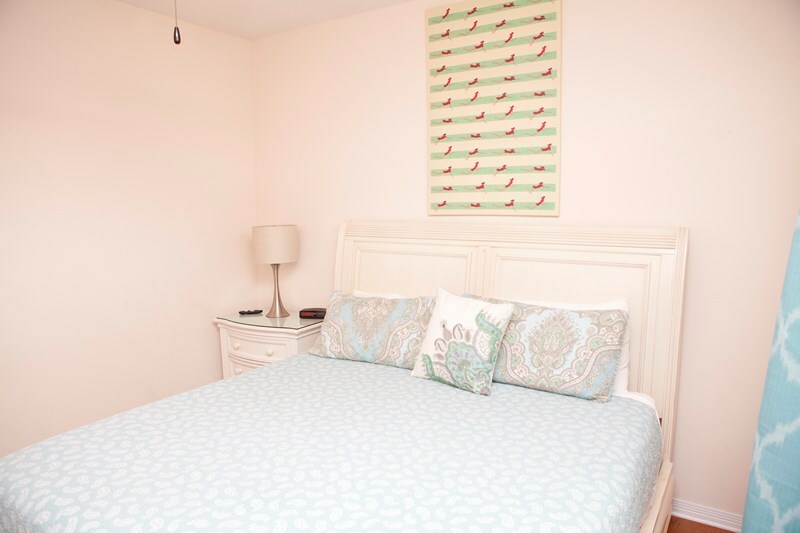 The Master Bedroom has a full walk-in closet for clothing and luggage. 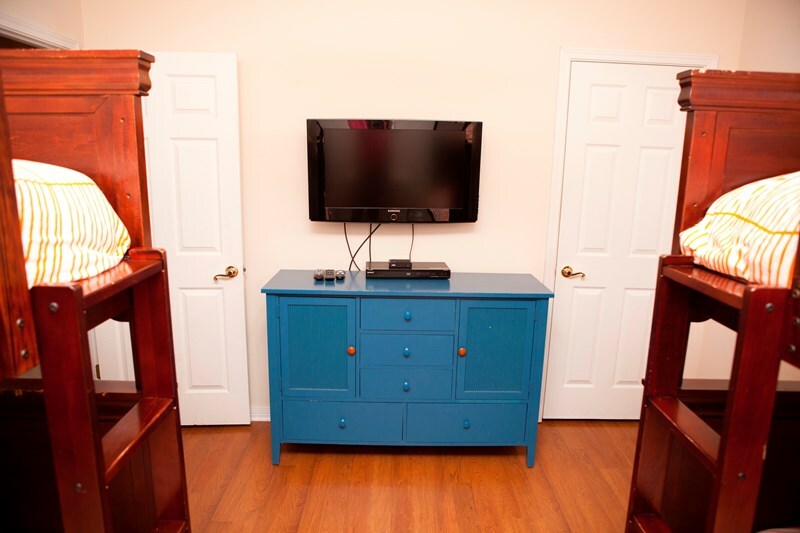 It also features a 37” flat screen TV with DVD player and brand new hardwood floors! 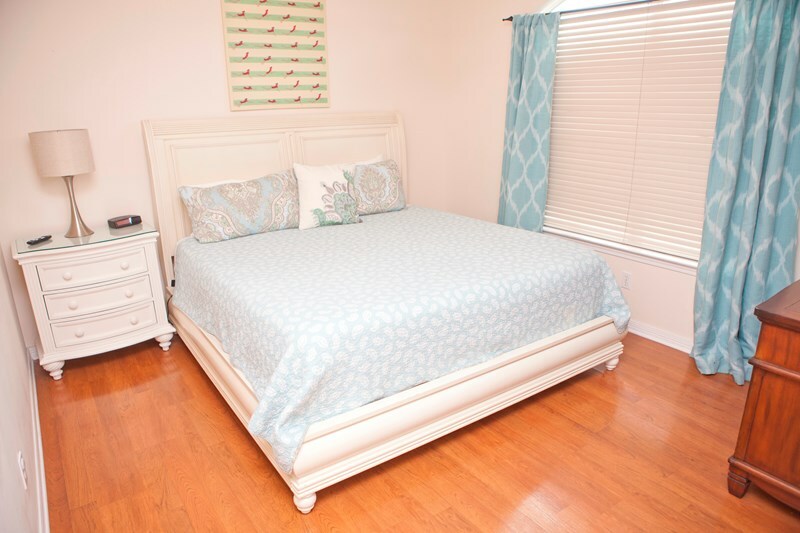 Second Master BedroomSecsS : T he second Master Bedroom has a large King Bed sleeping two. This room also has a 37” flat screen TV with DVD player. There is a full bath just outside this door. 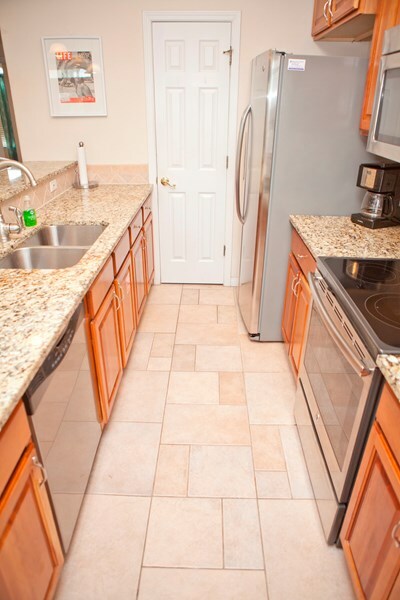 It also has brand new hardwood floors! 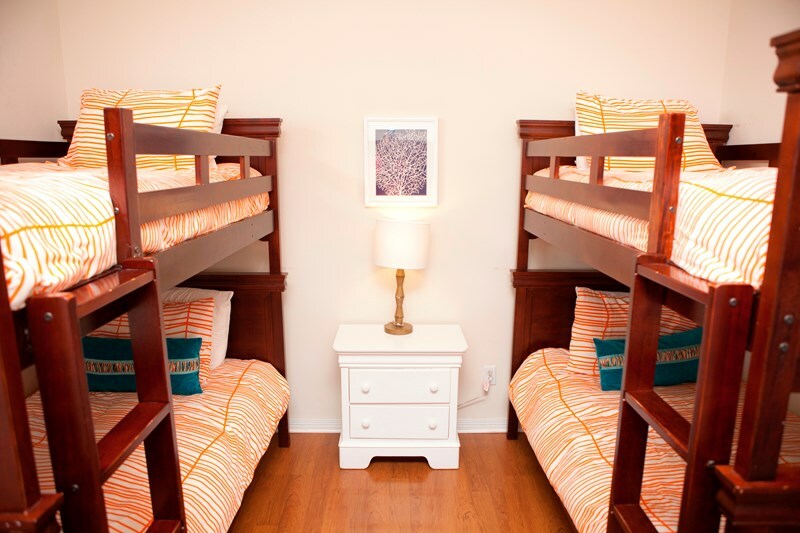 Bunk Room: The third bedroom features two sets of bunk beds for the children! 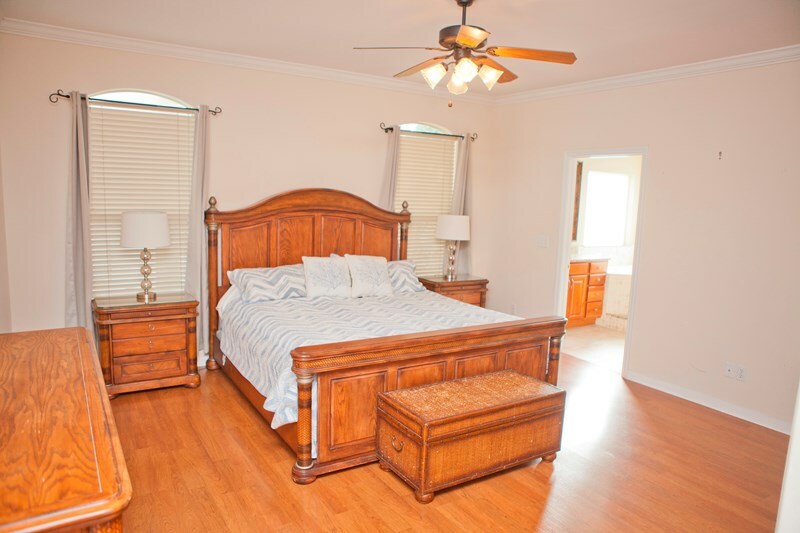 This room is adjacent to the second Master and located just outside the full bath. It has a 32” flat screen and Sleeps 4. Brand new hardwood floors! 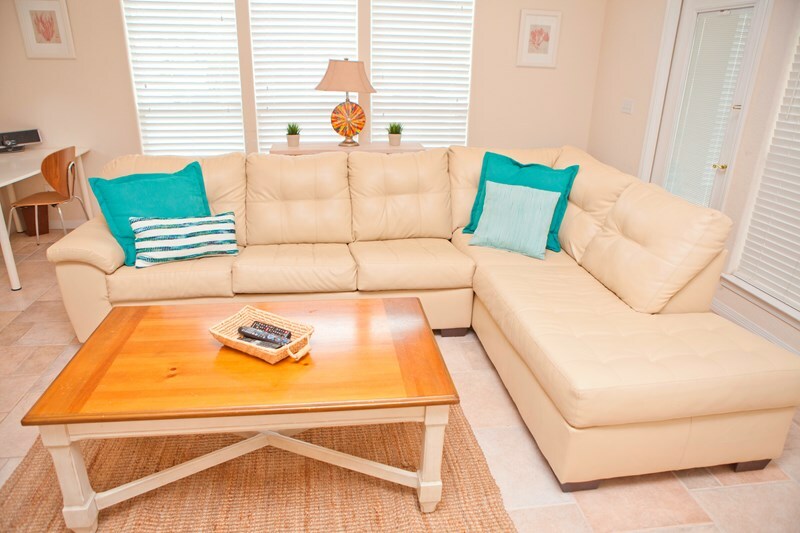 Living Room: The living room has a sectional couch with sleeper sofa and two reclining chairs. It also has a 37” HDTV with a DVD player and an IPOD dock stereo. It has a ceiling fan and a desk in the corner. Also has sleeper sofa for additional sleeping! Outdoor Patio: You will love our new outdoor patio set up with a built in grill. We provide chairs and an outdoor table for relaxing and dining. There is a fan and light for relaxing at night as well as an outdoor hose to rinse off salt and sand from the beach. Sleeper sofa: Located in the living room for extra sleeping arrangements. 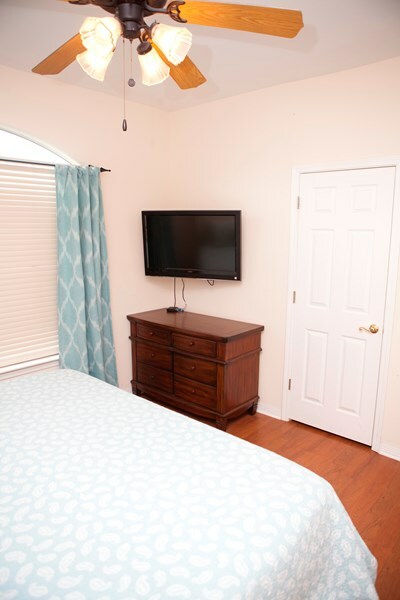 Laundry Room: We provide a washer and dryer, iron and ironing board to be used at your convenience Laundry detergent and fabric softner sheets provided. Parking at “Emerald Villa” is strictly limited to two cars. 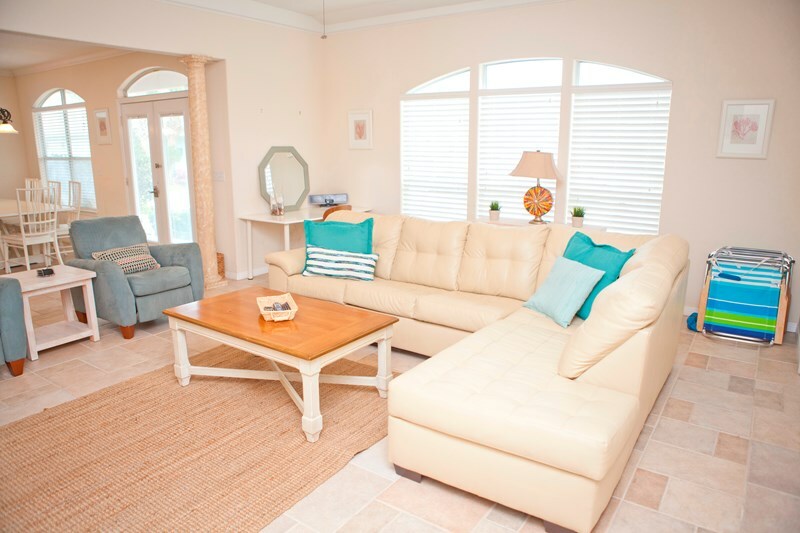 Again, we are so excited that you have considered renting our home, “Emerald Villa”. 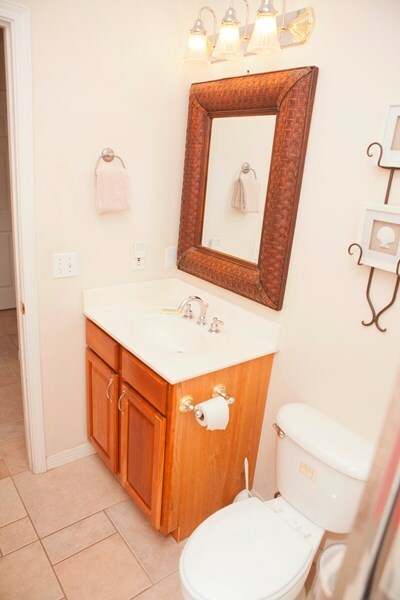 Please don’t hesitate to call us at any time for more information and be sure to check out our slideshow of pictures. This is an interactive GOOGLE map. 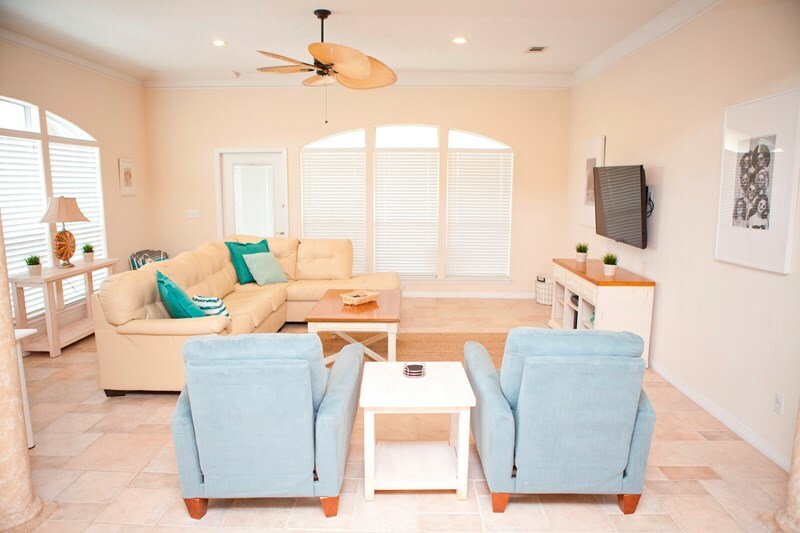 Click on the YELLOW icons to see the location of our home, the 2 community pools, tennis courts, basketball, shuffleboard and the beach access. You can zoom in and out and grab the map and move it around to see our location in Destin.